The Orange Owl is owned and operated by Akshata Nayak who was born and raised in the city of Bangalore in southern India. She came to the US for her graduate studies and ended up receiving two Master degrees: one in Biochemistry and one in Applied Clinical Nutrition. In addition to creating body butters, body scrubs, bath salts, soaps, and lip balms (which you can find in our Wellness Department), Akshata also works as a nutritionist at Alternative Roots Wellness Center, a holistic health center she started with her husband. 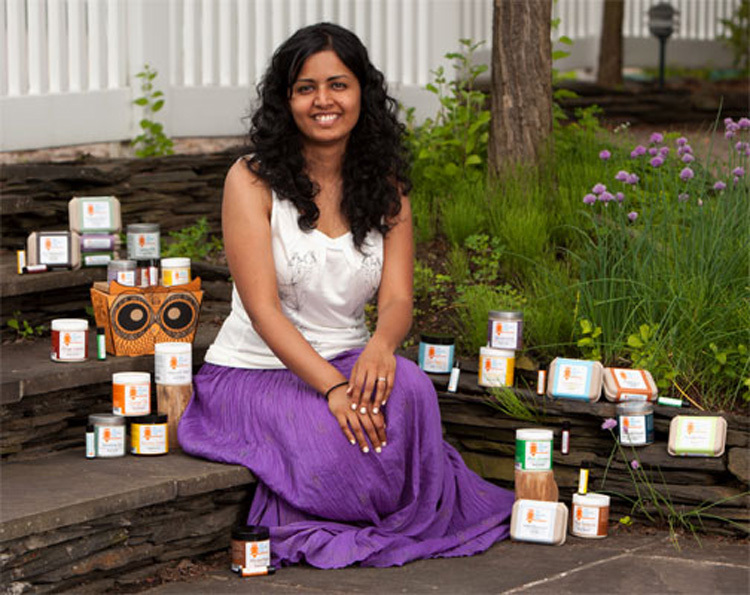 Akshata's body care products are created by hand with the environment in mind. They are chemical free and vegan, and Ashkata is willing to customize orders for customers with specific allergies. For every purchase made, The Orange Owl donates 5% of the total sale to The Schooling Project, an organization that "provides avenues for children to gain the financial means necessary to stay in school" in India.